Kulas Maids Inc. prides itself in serving you and providing the most dependable cleaning service in Mt. Prospect, Illinois 60056. We guarantee quality and use environmentally friendly cleaning products so that you can have the peace of mind that you, your children, and your pets are living in a healthy setting. For more information about the specific cleaning services we provide, please feel free to browse through our website. Regardless of whether you are looking for a house cleaning service before an upcoming party or a once a week cleaning, Kulas Maids guarantees that you will be satisfied with the result. 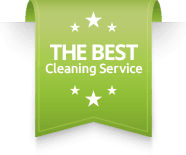 If you want a quick, efficient, and affordable house cleaning service in Mount Prospect, please don’t hesitate to call our office today! We can be reached at 847-559-0966. Your local Mount Prospect maid service is just a phone call away. Kulas Maids Inc. hires well-trained maids who will make sure to clean every nook and cranny in your Mt. Prospect home. After placing your cleaning responsibilities in Kulas Maids’ hands, you can be assured that we will take care of everything for you. We want you to say that we can make your home sparkle!